Desc: Landstrom's Black Hills Gold Tanzanite earrings. The rose and green gold leaves are mounted to the side of the stone. The marquis cut tanzanite is prong set in the post earrings. 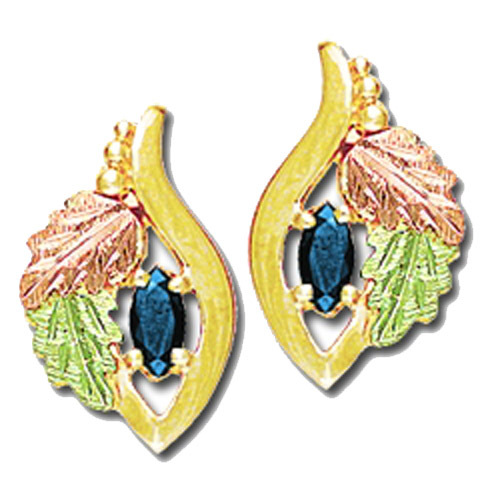 We can provide any birthstone in this earring style (contact us for details). Made in the United States of America.